Tech and Features: Special kiteboard-formulated EVA foam, optimized kiteboard-specific groove pattern. Premium 3M® adhesive backing. Flat rear pad and heel kick for optimal kiteboard feel and retrieval. Six-piece construction allows custom fitting: spread side to side to expose footstrap inserts or accommodate extra wide boards; spread front to back to accommodate extra-tall riders. Apply together as one piece for a seamless fit perfect for dedicated strapless boards. 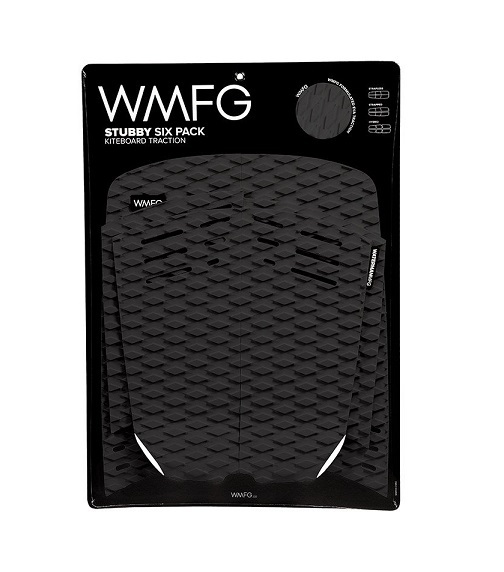 The WMFG Stubby 6 Pack Deck pad is for kiteboards with wide tail shapes. This design is perfect for fish tail, thumb tail, foil boards, and all wide tail shapes. Ideal for the BWS Stallion. Full deck coverage means you will have traction in front of the rear pad for cheating your back foot forward on upwind tacks and for traction in the middle for traction during transitions. 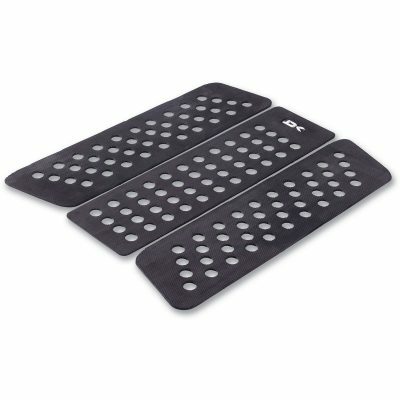 Traction pads are great for those who do not want to deal with wax melting in the car, running out of wax or melting on the beach on a hot day. 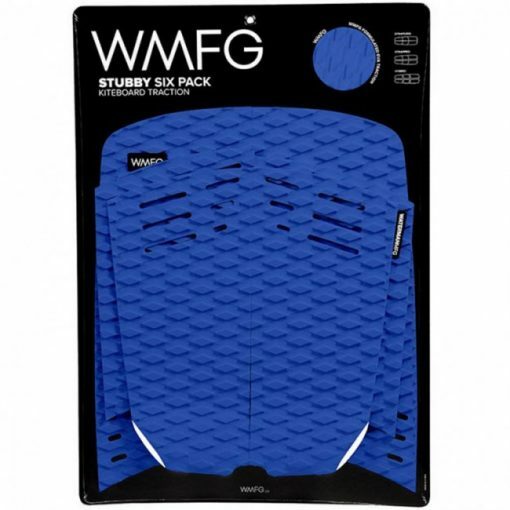 Traction pads also provide a thin layer of padding between the rider and the board which absorbs shock, dampens impacts and can increase the life of the board.